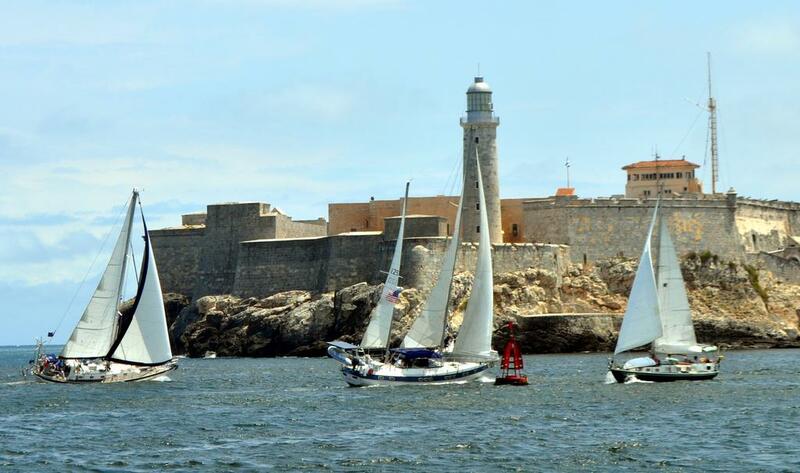 Yachts racing through the entrance to Havana Harbor. It looks like SuzSea, a Grand Banks Aleutian 65 from Vero Beach, Florida, will be the first U.S. trawler to legally travel to Cuba since 2004. Owner Jack Apple won a key permission from the U.S. Commerce Department to participate in a Havana fishing tournament in late May. SuzSea is part of a contingent of 10 U.S. boats, including Blue Moon, a Krogen Express 52 from Pompano Beach, Florida, approved to participate in the 65th International Hemingway Billfish Tournament, which begins on May 25. The rest of the boats are more typical sportfishing vessels. This policy change essentially returns us to the status quo before the administration of President George W. Bush, who effectively banned all recreational boat travel to Cuba by U.S. citizens. This affected sailing regattas from Key West and St. Petersburg as well as individual travel, even though the travel ban has always had an exception for participation in internationally sanctioned competitions. In fact, the fish tournament participants won’t be the first Americans. Also approved were Hobie Cat racers in the Havana Challenge, which embarks from Key West on May 16. Dozens of independent minded U.S. cruisers clear into Cuban ports every year despite the regulations, justified by their “personal foreign policy,” but they face fines and possible confiscation for doing so. And yes some have been caught and fined. We have not heard about anyone’s boat ever having been confiscated. Now, as part of the Obama administration’s policy of engagement with the Castro regime, the door for recreational boat travel has opened a crack. The bureaucratic mechanism for this was to issue a Commerce Department export permit for each vessel involved in the competitions, often referred to as a temporary sojourn license. The American contingent was organized by PassageMaker friend Bruce Kessler and an outfit called the Florida-Cuba Environmental Group. Kessler is also the original organizer of the bi-annual Fleet Underway to Baja Rally or FUBAR powerboat rally from Southern California to La Paz in Baja, Mexico. For several years he’s tried to replicate the rally concept on the East Coast as a Cuba cruise but had been frustrated by the U.S. foreign policy. The Florida-Cuba Environmental Group is headed by another fascinating character, Tony Zamorra. He’s a Cuban-American, veteran of the Bay of Pigs fiasco and a lawyer. Despite having spent two years in a Cuban prison after the failed invasion, he broke away from his Miami Cubano brethren in the mid-90s, urging an end to the embargo. For anyone interested in cruising in Cuba, the International Cruising Boat Expo in Essex, Connecticut, will feature a seminar on Cuba Cruising on Thursday, June 4. The seminar, to be held at the Brewer Essex Island Marina, will be conducted by Capt. 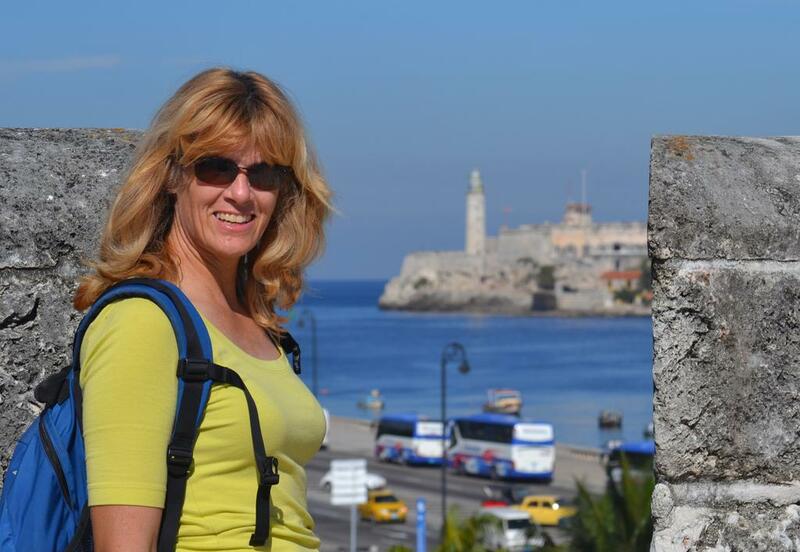 Cheryl Barr, author of the Yacht Pilot Guide to Cuba, based on 18 voyages around the island nation. Barr can take a boat to Cuba because she is a Canadian citizen. With 31 seminars altogether, the International Cruising Boat Expo is an event from the same people that organize the highly popular TrawlerFests. For more information about the International Cruising Boat Expo, click here.